Matthew Macklin will be hoping for the “luck of the Irish” as he attempts to dethrone middleweight king Sergio Martinez on March 17 at Madison Square Garden. 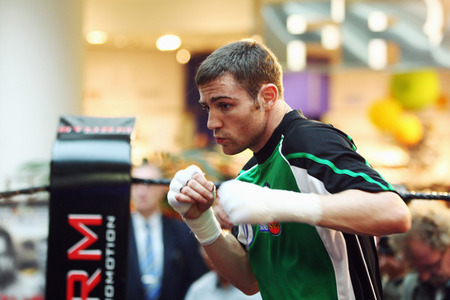 It will be Macklin’s first outing since his controversial split decision loss to WBA champion Felix Sturm last summer. But the Birmingham fighter, who has Irish heritage, will face an uphill battle to dethrone Sergio Martinez, who is considered by many to be number 3 on the mythical P4P list. However this is another fantastic opportunity for Macklin who, in my eyes, beat Sturm and should be the WBA champion. It’s even more shocking that Macklin didn’t receive a rematch with Sturm, who struggled again in his draw to Martin Murray last December. It’s going to be a tough ask for Macklin because Sergio is a fantastic boxer with a wide range of skills and a very unorthodox style. But Macklin can take heart from Darren Barker’s performance against Martinez last October where he managed to take Martinez into the later rounds before ultimately being knocked out in the 11th. Macklin will have to have a higher work rate than Barker did, who was sound enough defensively but didn’t really offer much by way of offense. He’ll have to keep a high intensity throughout the fight and try to cut off the ring, while keeping away from Martinez fast and hurtful combinations. Having said that I think Martinez wins this either way. If Macklin comes and looks to trade; Martinez will win via a stoppage. 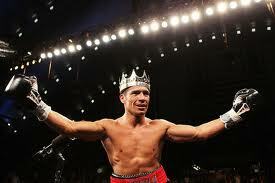 If Macklin tries to box and pressure Martinez; Martinez may take it by points or even a late stoppage. It’s a tough ask for Macklin but the fight is on St Patrick’s Day and you never know how the “luck of the Irish” will come into play. 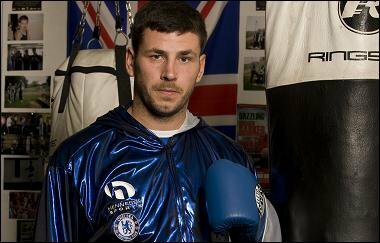 ‘Dazzling’ Darren Barker made a victorious return to the ring as he regained the European middleweight title following a unanimous points decision over Domenico Spada. Barker, who had been out of action for a year with an injury problems, regained his title with the judge’s scoring the bout 115-113 and 116-113 (twice). Barker boxed intelligently throughout and showed little sign of ring rust as he disposed of the tough Italian, despite tiring late on. Now personally I don’t know what fight the judge’s were watching, but I had Barker losing no more than two or three rounds. 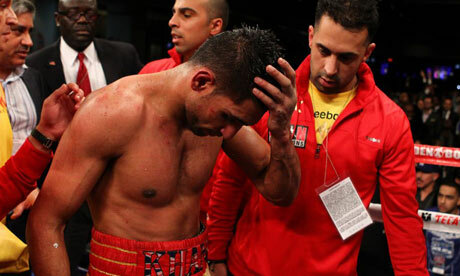 However, Barker picked up the win and got through 12 rounds which was just as important. Barker looked good throughout the fight but definitely tired in the last couple of rounds where he did a lot of clinching, which was to be expected following such a lengthy absence. Now I know that Barker has stated its his ambition to get into the ring with Sergio Martinez, who I believe is the P4P king right now. I’m all for Barker having the ambition and desire to fight the best but he has a long way to go before he can even be considered good enough to fight Martinez. I believe after another fight or two, just to get rid of any ring rust, Barker should campaign for a fight against the likes of Pirog or Sturm. If they fail to come off, there is potentially a massive all British clash that could be made with Barker facing Matthew Macklin (who faces Sturm in July). That fight is a fight all British fans would want to see and could prove to be a fantastic fight on domestic soil.